Dingdong Dantes also posted an adorable photo of their matching Superstars! 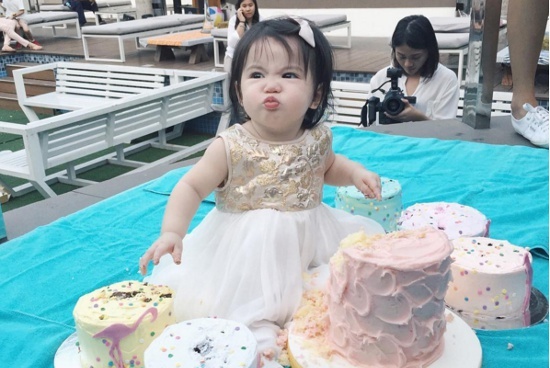 (SPOT.ph) You have social media to thank for the influx of celebrity babies on Instagram and Facebook. For Dingdong Dantes, he occasionally takes to his Instagram account to post adorable photos of his four-month-old daughter, Maria Letizia. Yesterday, March 22, Dingdong posted a photo of baby Zia reading a bedtime story with her mom, Marian Rivera. The post, which he captioned with "ritual," had DongYan fans seeing double with the mother-daughter duo. A week ago, Dingdong also posted a photo of him and Zia fighting over the TV's remote control. He also shared a snapshot of their matching Adidas Superstars (below), with baby Zia getting her own tiny-sized pair!